The hedgehog is nocturnal, but hibernates in winter. 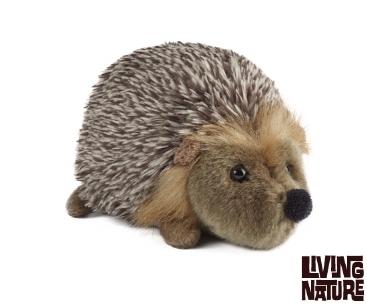 It has dense, sharp brown spines on its back and soft brownish fur on its pointed face and underside. It makes a sort of pig-like sound when snuffling around with its pointed snout for food at night! 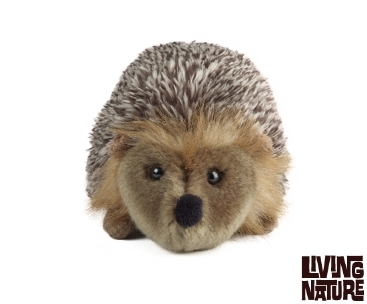 Learn more about Hedgehogs with Living Nature. Every animal comes with a hang tag full of interesting facts!